You’ll arrive into Christchurch airport where you’ll take a private transfer to your accommodation. Relax in your room or take a quick look around Christchurch, which has a design that’s very reminiscent of a classic English university town. Rebuilding itself from the earthquake of 2011, there’s a huge range of restaurants, bars, museums and galleries. Today you’ll pick up your hire car – the standard car will be an economy car (Holden Barina or similar) but you can upgrade if you would like to. You can then spend the rest of the day exploring Christchurch and its surroundings. You won’t actually need your car if you’re going to spend the whole time in Christchurch – the intimate city center is easily navigated on foot or by taking the historic trams. Make sure you take a visit to the International Antarctic center where you can learn all about the world’s frozen continent. 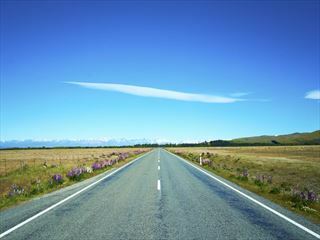 Leaving Christchurch today you’ll cross the impressive Canterbury Plains and explore the scenic inland heart of the South Island. You’ll pass through a number of wonderful places including the township of Geraldine, where you could choose to stop and learn a little of the town’s history at the Geraldine Historical Society Museum. Afterwards you’ll head into Mackenzie Country and visit Lake Tekapo, one of New Zealand’s most magnificent lakes. You can enjoy the views from the shoreline, choose a short boat trip on the water or opt for a scenic flight over it. 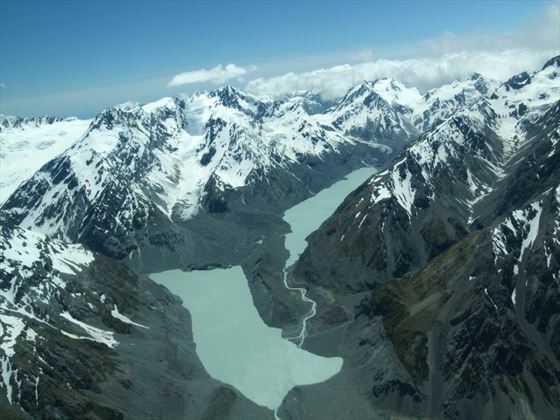 You’ll then head onwards to Lake Pukaki where you’ll be treated to astonishing views of Mt Cook National Park. Finally you’ll arrive in Mt Cook Village where you’ll find a huge range of activities on offer including kayaking, glacier landings and the Sir Edmund Hillary Alpine center. 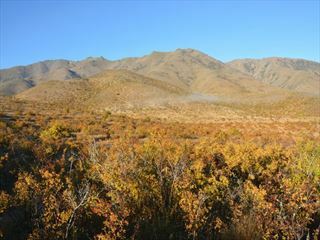 Today you’ll head further south, passing through some of the most epic Lord of the Rings scenery. Further along you’ll reach the town of Omarama where you can watch an informative sheep shearing demonstration. Then you explore the Waitaki Valley and head onwards into Oamaru. With buildings built in local quarried white stone, the architecture here is unique and some of New Zealand’s most interesting. You can either check out the pretty town and then head onwards for a relaxed evening in Dunedin, or stick around in Oamaru until dusk when the blue penguins come ashore before heading south for your overnight stay. Today you’ll have a leisurely day in and around Dunedin. The city has a rich Scottish heritage and truly fascinating architecture – be sure to check out Dunedin Railway Station, known as the most photographed building in the country. 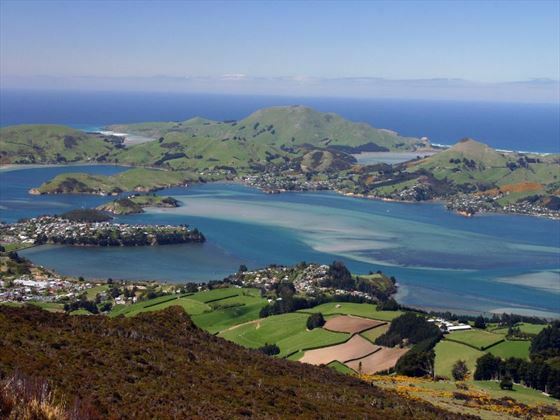 As well as some amazing wildlife experiences such as the only mainland Royal Albatross breeding colony in the world, you can also visit New Zealand’s only castle, Larnach Castle. Other options include taking a Monarch Wildlife Cruise on which you’ll float through Dunedin Harbor for the chance to spot the rarely-seen yellow-eyed penguin. 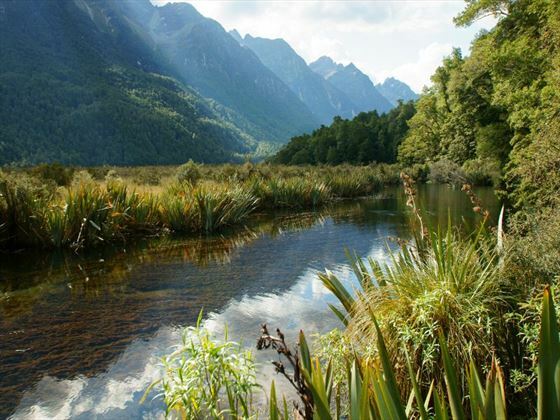 On day six you’ll drive to Te Anau through miles of pretty Southland scenery. 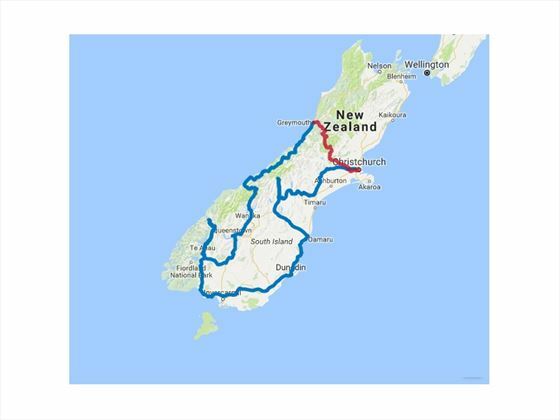 The ideal route to take is the Southern Scenic Route through The Catlins which takes you off the beaten path for some true New Zealand beauty. Pass along the Otago coastline going through Invercargill, Riverton and Colac Bay before reaching Manapouri. Just a little further on you’ll reach the gorgeous Doubtful Sound for before arriving at Te Anau, the gateway to Fiordland National Park. Set off on the stunning road to Milford Sound which offers truly photogenic scenery. The Mirror Lakes live up to their name – providing a stunning reflection of the mountains and meadows. Stop off at The Chasm Walk, two walking bridges over Cleddau River before driving on through Homer Tunnel, one of the longest road tunnels in New Zealand. 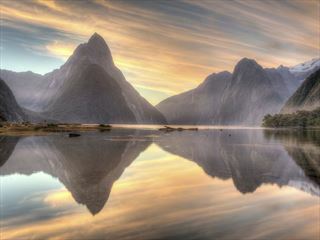 You’ll then reach Milford Sound – the only sound that is accessible by road. From here you’ll take an amazing Nature Cruise to explore the waterways of the sound. You’ll see incredible scenery that includes waterfalls, rainforest and mountains. At the end of the cruise you’ll return to Te Anau. 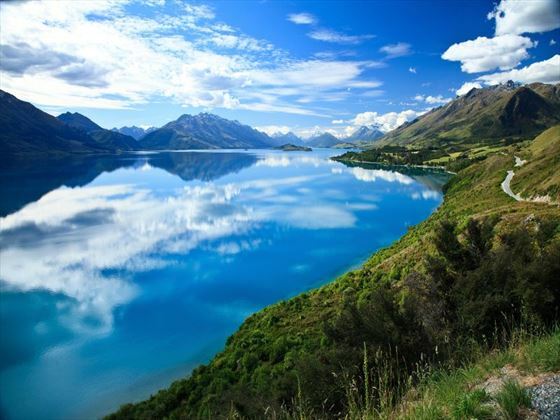 Today you’ll travel up through the Southland countryside to Lake Wakatipu for more remarkable scenery. You’ll then continue alongside the lake and enter Queenstown for an evening at leisure. Day nine is a free day in Queenstown. It is well-known as the adventure capital of the world. Here you can enjoy a huge range of adrenaline-fuelled sports including bungee jumping, skydiving and watersports. There’s plenty on offer if you’re not feeling the need for adventure sports including wine tasting and visits to Arrowtown, a historic gold-mining town. Around the city is the Gibbston Valley, home to a number of excellent vineyards, while there’s a huge range of excursions ranging from trips to Lake Wakatipu for jet boat rides to Nomad Safaris four-wheel drive journeys to some less seen attractions. To start the day you’ll cross Crown Range, the highest sealed road in the country, which will take you to Wanaka. Wanaka is the gateway to Mt Aspiring National Park where you’ll see the impressive beauty of the Blue Pools. You’ll head towards the Haast Pass and cross the Haast River before finally reaching Fox Glacier – the start of the glacier region. From here, continue on to your accommodation which is based at the Franz Josef township. You can opt to take a helicopter flight over the glaciers – a truly unique experience. Today is a full day to explore Franz Josef Glacier. You can choose to take a walk with a guide or without, or you could take a full day adventure featuring ice climbing. Another option is to take a scenic flight over the glacier to see it for a birds-eye view. Today you’ll leave your accommodation and travel to the largest town on the West Coast, Greymouth. 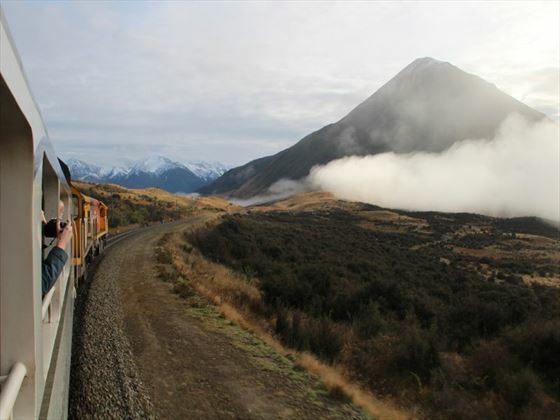 This is where you’ll catch the famous Tranz Alpine Scenic Train, which will take you on a breathtaking journey across the South Island to Christchurch. The Tranz Alpine is often thought of as one of the world’s great train journeys, offering spectacular views throughout the four-and-a-half hour ride. 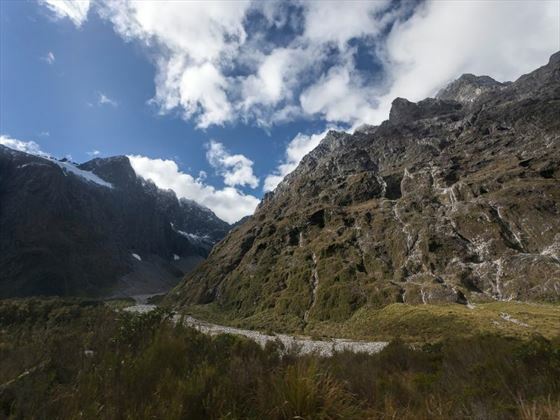 Passing through the Otira Valley and across Arthur’s Pass National Park you’ll be treated to vistas of mountains, waterfalls, rivers and Beech forests. On arriving in Christchurch you’ll take a private transfer to your accommodation. Today you’ll be collected from your accommodation and take a private transfer to Christchurch airport.